to offer deals to other member businesses! If you would like to have your deal listed on our "Member to Member Deals" page, please email the Chamber with the details of the promotion. 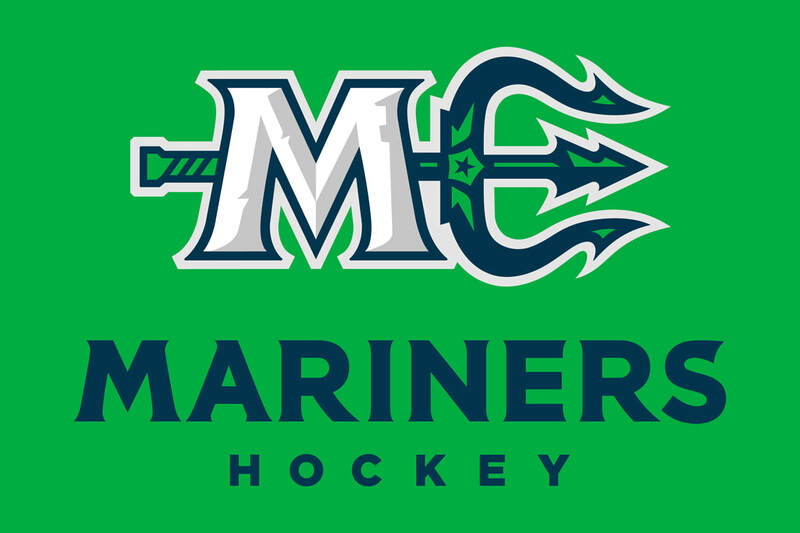 The Maine Mariners, proud members of the chamber, are excited to offer chamber members a free Mariners flag to hang in your business. Flags will feature the new Mariners logo and will be 2’ X 3’ in size. Please contact Natalie via email natalie_tobey@comcastspectacor.com to request your free flag by Monday, February 26. Exciting news! After months of renovations, Maine's Pantry has re-opened in our new location – 250 Commercial Street. Come check out our new store, which now includes a full espresso bar featuring Maine roasted organic coffee, Maine tea and hot chocolate in addition to all the Maine-made specialty foods, chocolates, wine and beer you have come to expect. We also now have customer parking! Have an old computer you'd like gone? Why throw away old computers at the dump only for them to end up in a landfill...when they could be recycled? Computer Be Gone is an electronic recycling service that is good for you and for the environment. We provide a FREE pick up service for businesses in Portland, South Portland, and Cape Elizabeth. We also collect and wipe hard drives for free. What isn't recycled is resold or donated. Please contact us via phone or email or message us here on Facebook if you have electronic recycling needs. Rust Check Portland Offering 15% off for Chamber members! MBrace Orthodontics is offering Portland Regional Chamber of Commerce members 10 percent off! For more information, or to learn more about MBrace, visit their website here. Jewel's Custom Books is offering Portland Regional Chamber of Commerce members a generous discount on any personalized product! Just use promo code PRCC and receive 20 percent off your product! Looking for a boost in efficiency? Get in touch with Fred Horch, co-founder, at Spark AE today! Fred and Spark AE are generously offering Portland Regional Chamber of Commerce members free energy evaluations. Spark AE aims to help businesses lower energy costs by increasing efficiency. ​To set up your free evaluation today, call Fred at 200-4685 or email him. Spark AE will need a copy of your business's past utility bills and time for a site visit. Sleep Number offering Chamber Appreciation Discount! Friendly Discount Beverage Portland, located at 1037 Forest Avenue has an irresistible DEAL this month! J. Lohr Chardonnay 2014 for ONLY $9.99! We can adapt to your world and budget. With Pratt Abbott you can have less headaches, and have assurance that you can always stay within your budget with our flexible & managed billing options. Book last minute and save 25% off the nightly rate in select properties! Procrastination can pay off! Book your stay within 7 days of arrival and save 25% off the nightly rate in more than 2,000 vacation homes in over 150 locations including 16 destinations in Maine. You can view our full inventory of homes at https://www.vacasa.com/listings/. To redeem visit Vacasa.com to view rates and current availability then call 207-274-7784 to book and ask for the "last minute" discount! Would you like to get your business in front of 3,500 USM students? USM is currently putting together its student planners for this coming school year and are looking for local businesses to be featured in these planners. 3,500 planners will be distributed for free, so it is a great opportunity to not only get your name out there, but help students and faculty find your business. It is a really unique opportunity to be in a publication that is going to be used multiple times a day for the entire year. Additionally you will be featured on our free mobile app and website where you are searchable and you can also post jobs and volunteer opportunities. If you would like more information or are interested in advertising, please contact Ethan at ethan.roney@maine.edu or call 207-232-0893. For more details, please view the PDF HERE. Visit the website for more specials & deals. Experience what the Bangor Daily News has to offer... an audience of more than135,000 adults in our 8-county area, plus thousands of tourists who pick up a copy at Maine Tourism Association locations throughout the state. Members: want to get Scene & Heard? Submit your event photos to Maine Today! When a group or business hosts a social event in the community they have the option to submit photos for print consideration for our Snapshots on the Scene & Heard page in the Maine Sunday Telegram. Read more about submitting your photos. Apple, Inc. Business Team offers a special, exclusive pricing arrangement for Portland Regional Chamber of Commerce members. This loyalty discount allows members to work directly with the Apple Business Team in the Maine Mall Store. For more information, call (207) 771-9403 or send them an email. U.S. Cellular has partnered with the Portland Regional Chamber of Commerce to offer up to 15% off your monthly plan. Visit your local U.S. Cellular store to sign up today! Already a customer? Get your discount at uscellular.com/partner. Marketing/Advertising opportunities are available at the Portland International Jetport!